We’re on a mission to stop littering in Louisiana and to make our state truly a Sportsman’s Paradise. How? Through beautification programs, partnerships and your help, we can make Louisiana a beautiful place for generations to come. 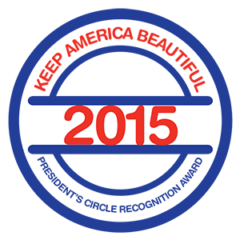 Founded in 2000, Keep Louisiana Beautiful’s focus is on education, enforcement, awareness, litter removal and beautification. Our 39 affiliates and 35,000 volunteers improve communities and transform public spaces. Everyone knows that litter is harmful to the environment. However, knowing about the problem doesn’t solve it. If you really want to create a litter-free Louisiana, you have to do your part. Keep Louisiana Beautiful gives you the tools and resources you need to improve your community’s appearance and preserve Louisiana’s natural beauty.Together, we can make a better place for the people that live here and those that come to visit. 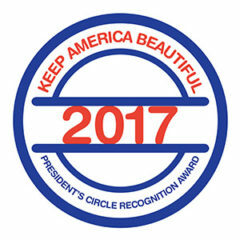 Keep Louisiana Beautiful has been a Diamond Level recipient of The President’s Circle Award by Keep America Beautiful since 2015. 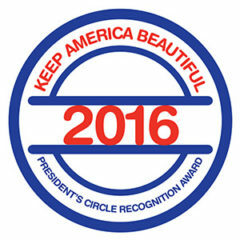 This award recognizes exemplary performance made by certified affiliates of the national nonprofit in creating clean, green and beautiful communities.